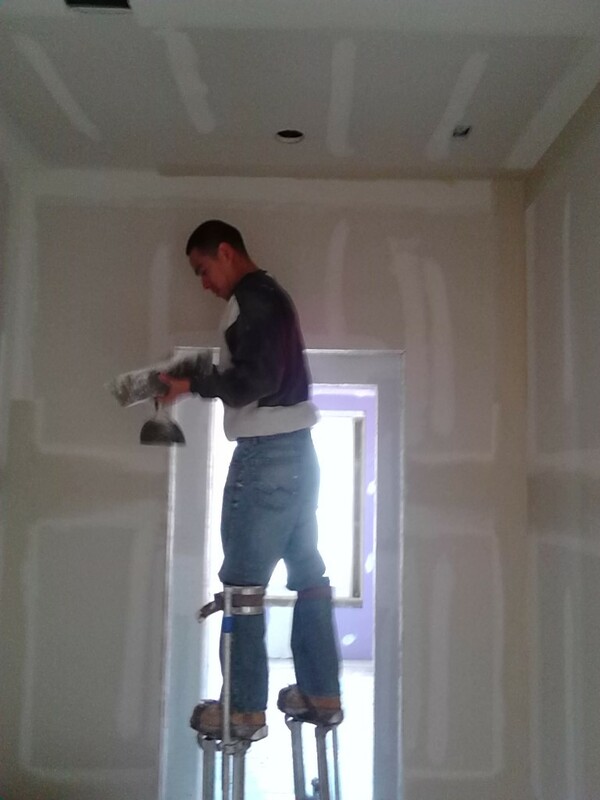 Sheetrock time! The long-awaited day has arrived. Having passed our mechanical and structural inspections, we are now free to cover up the walls. 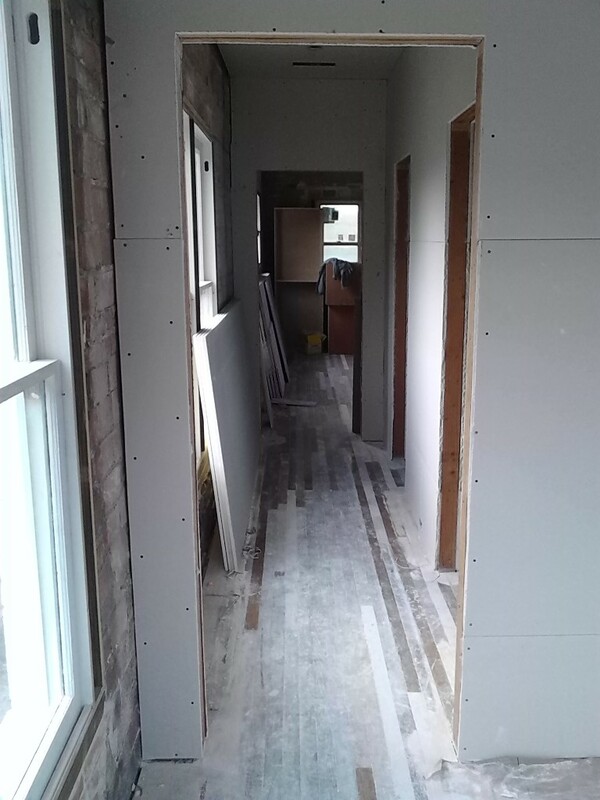 This will allow us to get started with finish work – wood trim, cabinetry, paint, and tile. And it will provide a better sense of what the place is going to look like when it is done. Unloading the truck. 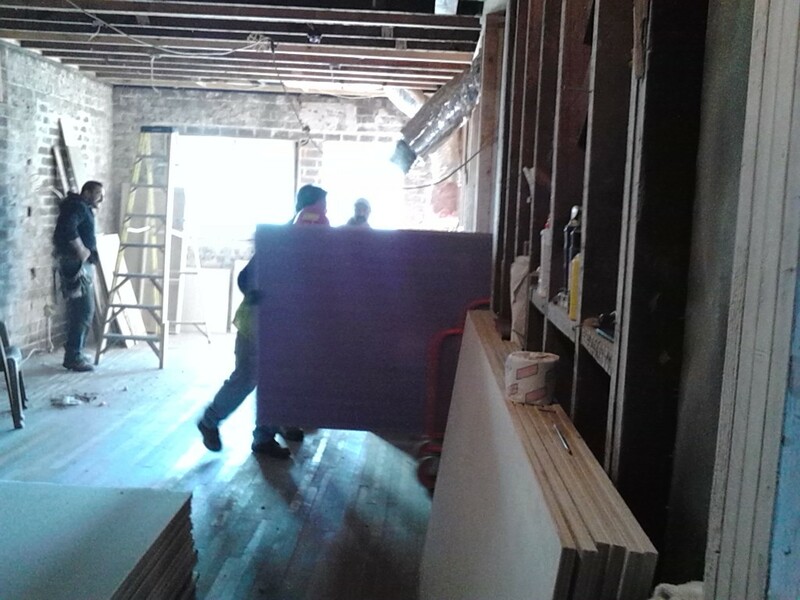 That’s a lot of sheetrock! And loading up the building. Three days later…transformation in progress! 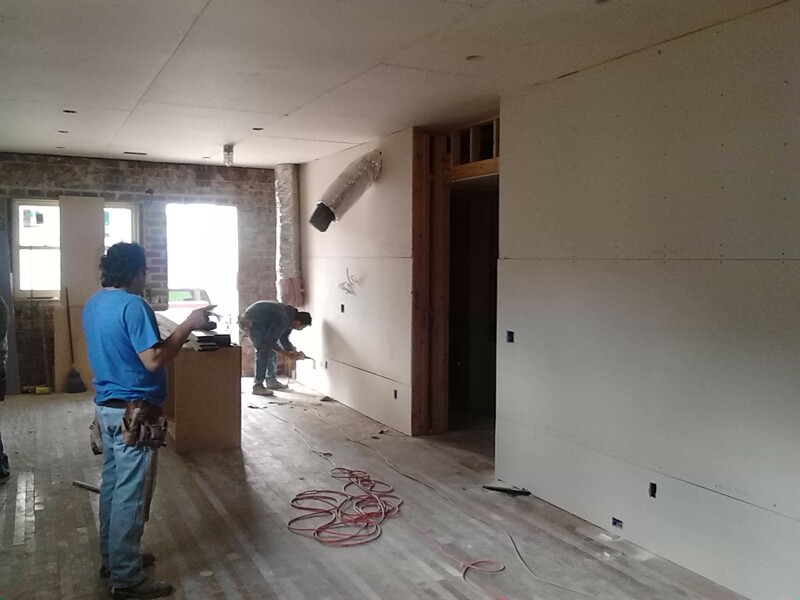 They started with the interior walls, which are easier to attach sheetrock to, being wood-frame as opposed to the solid-brick exterior walls. 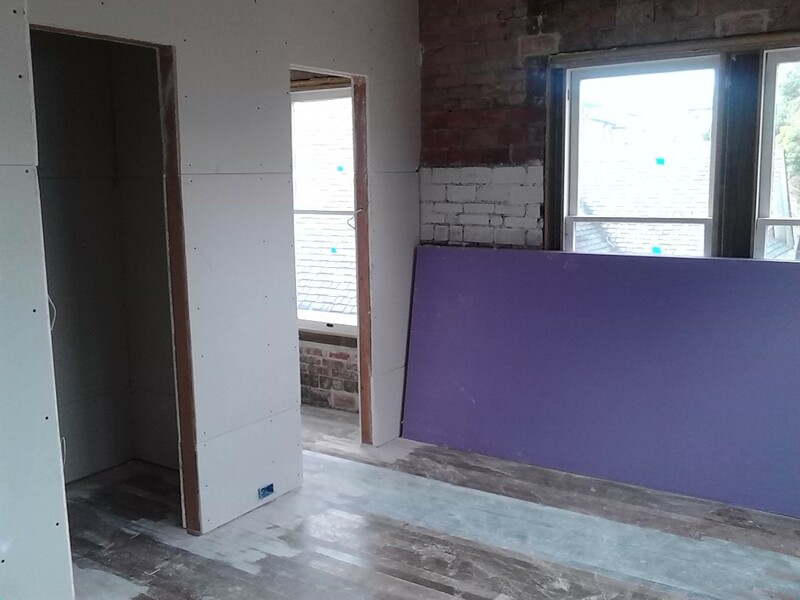 The purple boards, for use on the exterior walls, are moisture-resistant. 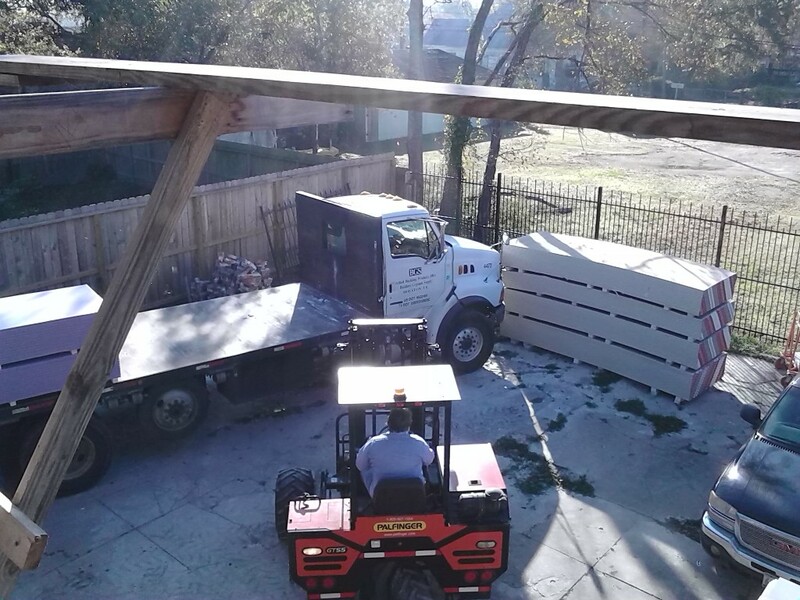 The ones used on the exterior walls in the master bedroom also incorporate extra soundproofing against train noise (the Union Pacific freight line runs less than a block away). Attaching the sheetrock to the wall. With rough-in done, time to smooth out the seams.